Wrist supports are useful in the treatment and treatment of an arm fractures, sprained wrist and repetitive strain injuries. Using a wrist splint provides compression and support to the wrist, lessening pain and distress and shielding the wrist from additional injury which together will speed up the overall healing process. Wrist support immobilizes the wrist which decreases the swelling and to alleviate the joint. Wrist splints are often used after surgical procedure to protect the surgical position and joint for healing. 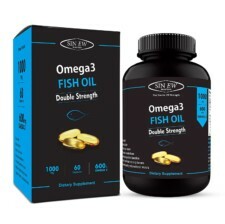 They are also used at night or during periods of lesser activity and enhanced results. Injure to the wrist joint is extremely common. Generally, wrist pain can be cured with the aid of a wrist splint, and in cases of wrist fractures and breakages, after the cast has been removed, the splint can be a wonderful support. Why are wrist splint necessary? 1. Even when a cast is not essential, such as in the case of a sprained wrist, the wrist support can be a helpful tool to help with the healing of the sprained wrist. 2. In cases of fractures and breakages, once the plaster is removed, the muscles of the wrist will be feeble because of reliance on a cast for so long. In this case, wearing a wrist support for a few hours a day can be immense help and an aid to the recovery procedure. 3. Many people have annoying conditions such as carpal tunnel syndrome whereby the nerves of their wrist become bare, causing pain. In this case, the wrist support can be a great help and instant reliever. 4. These supports are especially effective off-the-job, mostly during sleep as prescribed by your physician. 5. Many wrist supports is exclusively made to endure the extensive pressure applied during heavy workouts and intense gym sessions. 1. 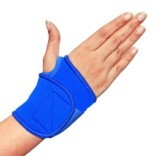 It is supportive for a sprained wrist and tendonitis giving them rest. It is also helpful for resting the muscles of the wrist for several hours per day after removing a cast. Wrist supports helps in keeping the wrist stable, the damaged ligaments, tendons, muscles or bones in your wrist can begin to heal. 2. For people with painful wrist, or wrists recovering from injure, the night-time can be perfidious, because when someone is asleep in bed, the wrist may moves into, awkward painful position. 3. Wrist support provides required support to the wrist while allowing the fingers to be free and unaffected by the splint, making them a useful aid in the workplace when repetitive hand motions are continually used. 1. Tynor Wrist Brace with Double Lock E 05:- This is an outstanding Wrist splint with double lock for great support, protection and immobilization of the wrist. 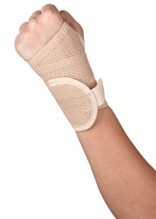 It compresses the area around the wrist and retains the body heat to alleviate local pain irritation and swelling. 2. LP Sweat Wrist Band 660:- The LP Sweat Wrist band is an invention that works for most gym enthusiasts and sports players, irrespective of their age and gender. LP Sweat Wrist Band 660 has been formulated in a way that averts perspiration from coming in the way of one’s performance and concentration at the activity and hobbies of their choice. The wrist support comes with a pleasing appearance and comfortable fit. It is casual in looks, easy on the eyes and relaxed to wear. 3. Tynor Elastic Wrist Splint E 01:- Elastic Wrist Splint is crafted to immobilize and supply firm support to hand and wrist in a variety of orthopedic situations. 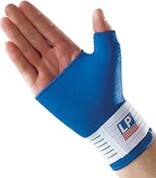 It preserves the wrist in the dorsi flexion functional position while allowing full range of motion to fingers and thumb. Amend the tension of the wrist support by loosening the strap or adjusting the Velcro so the brace is not too tight and affecting circulation in the hand and wrist. Wrist supports are available that have both heat and ice packs to help with rehabilitation. Wrist supports are also available in specific sizes or in one-size-fits-all wrap-around designs. Some are exchangeable between right and left hands while others are particularly designed for one hand or the other. The imperative point to keep in mind is that a wrist support is nothing to be embarrassed about, rather when it is used properly; it can either serve recovery or bring relief in a wrist which is painful and over used. Wrist splint allows movement of the finger and thumb joints, allowing the wearer to carry out regular activities.